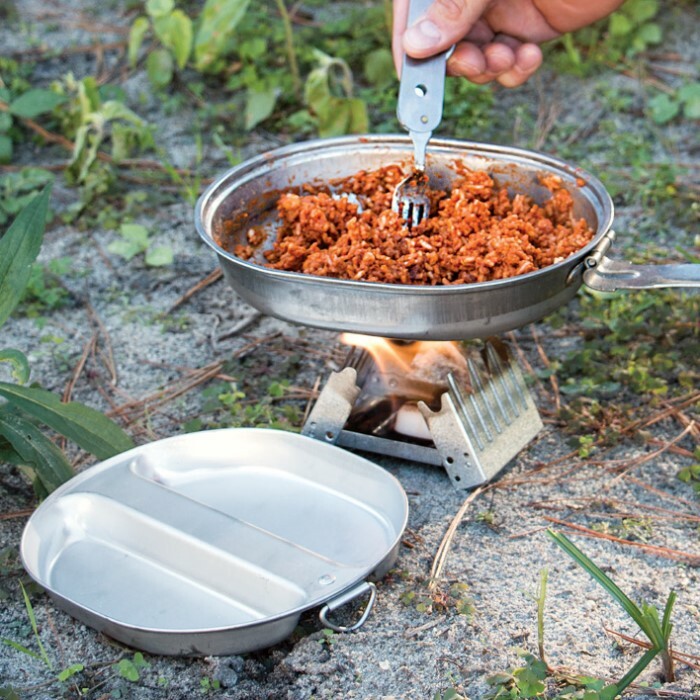 Dimensions: 8 1/2" x 6 3/4"
This military style, high grade aluminum mess kit is perfect to take along on hiking, fishing, hunting and camping trips. 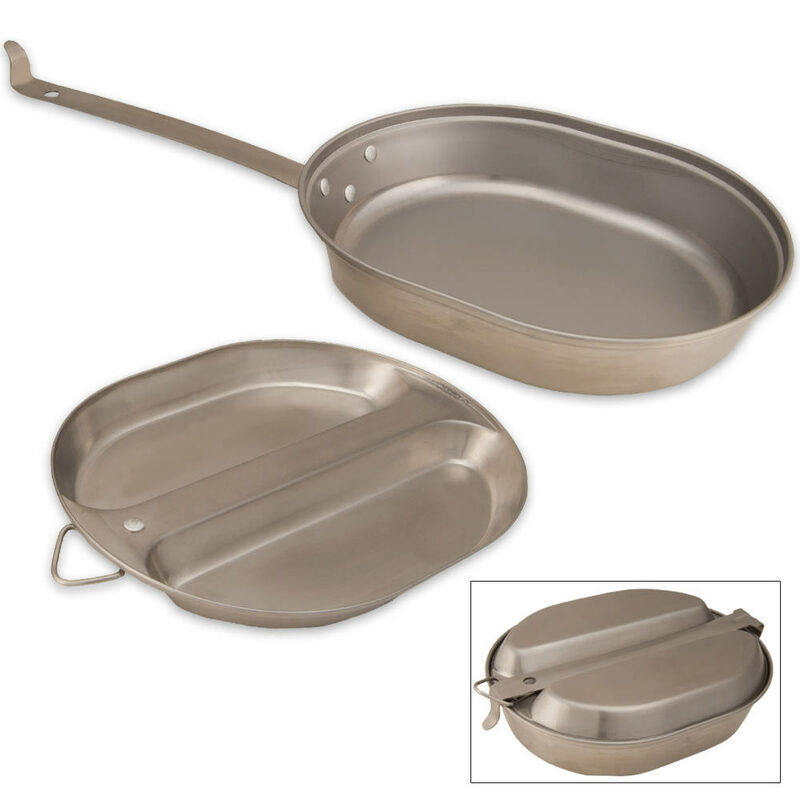 Includes one cooking pan and one eating tray. Designed for easy transport, this kit folds together and locks into place using a hook. 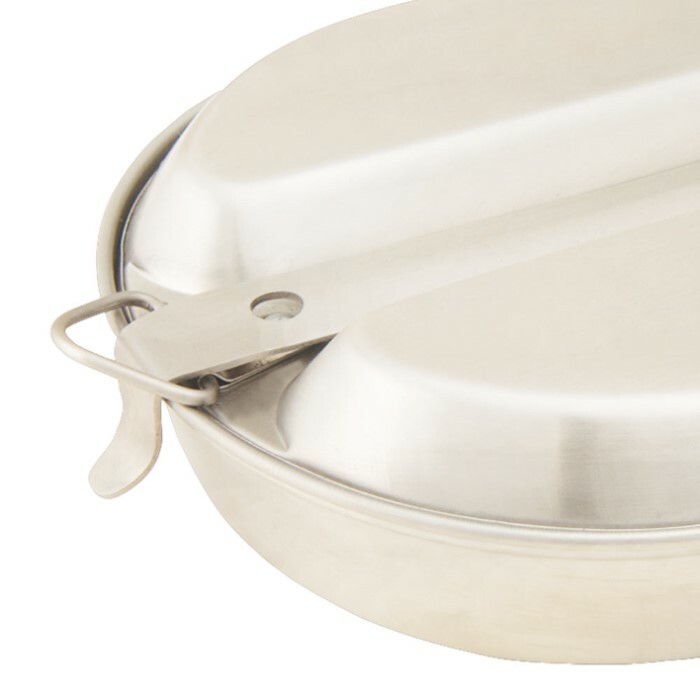 At only 0.51 Lbs., this mess kit will not slow you down. Measures 8 1/2 in. x 6 3/4 in. x 2 1/2 in. when closed. Very good, very nice tool overall.